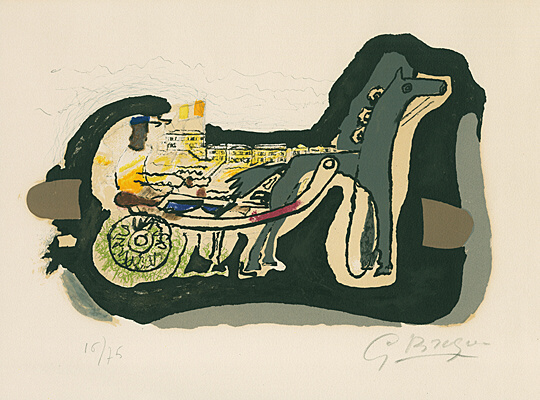 Georges Braque (Argenteuil 18821963 Paris) is one of the great and important artists of the twentieth century and left behind an impressive oeuvre. 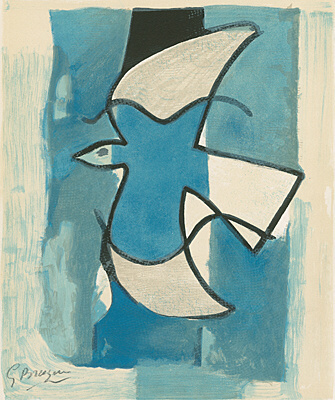 As a contemporary and companion of Pablo Picasso, he is regarded together with him as the co-creator of Cubism and thus as a pioneer of modernism. 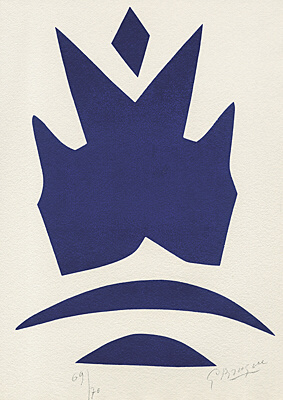 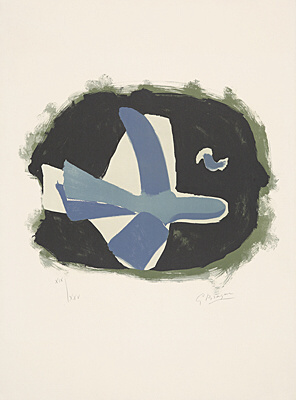 His work beyond Cubism was particularly influential in the 1950s and 60s. 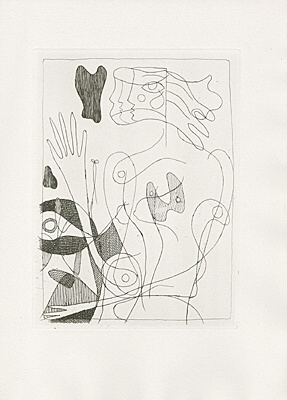 Based on the formal repertoire of Analytical Cubism, Braques first prints were produced as early as 1909. 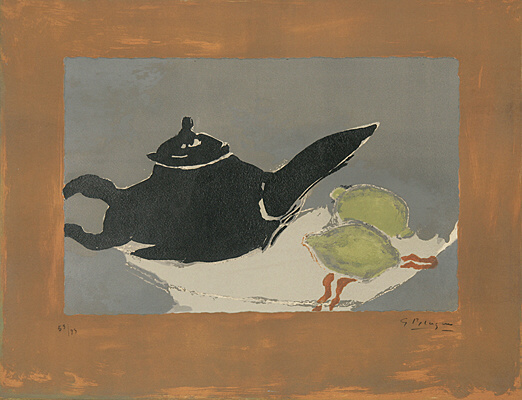 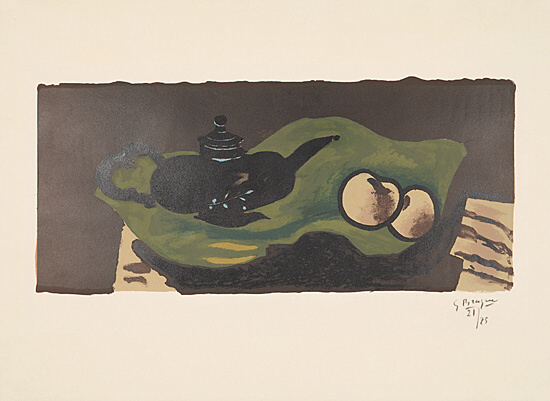 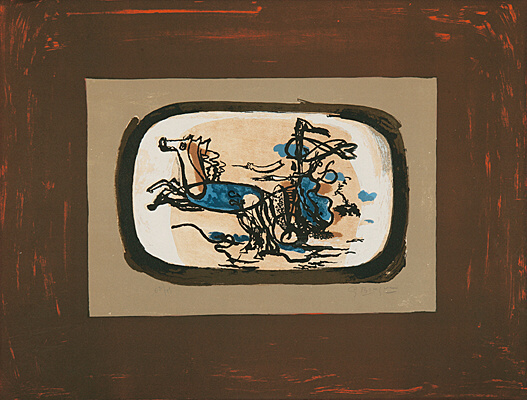 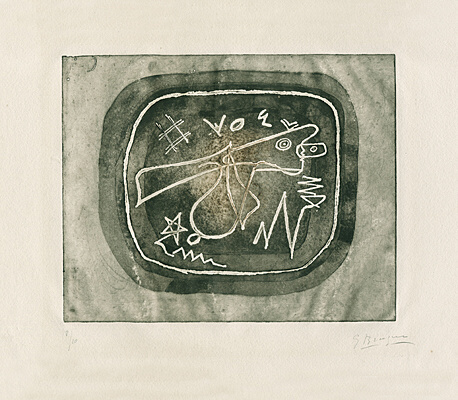 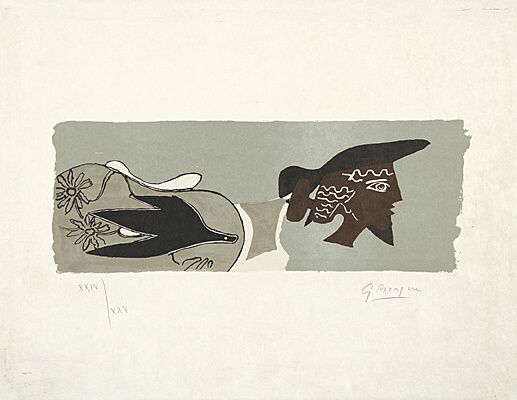 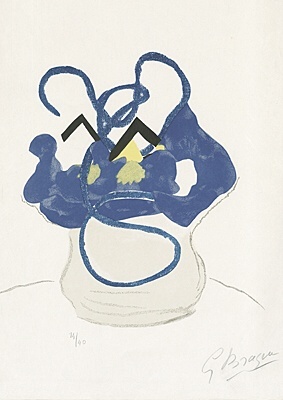 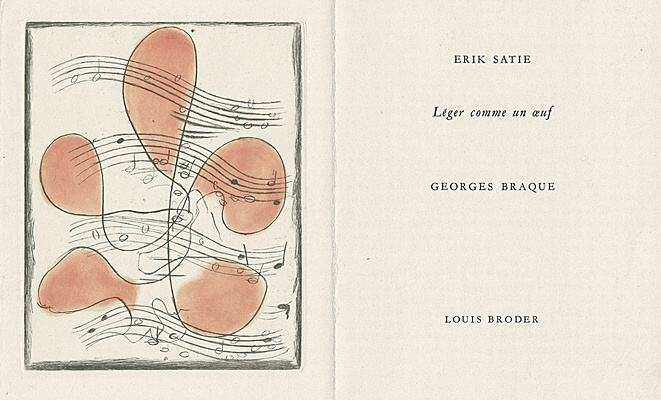 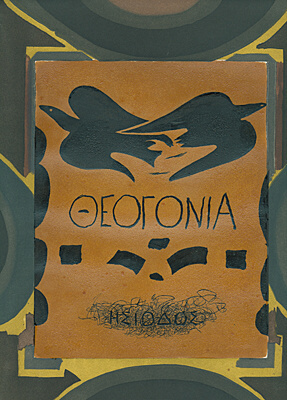 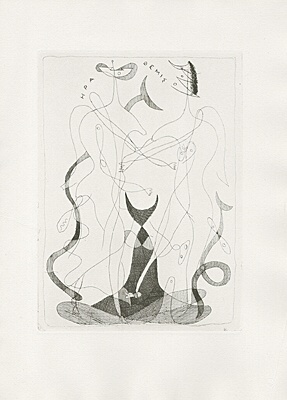 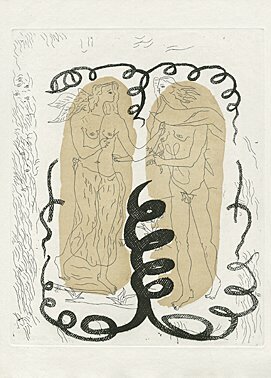 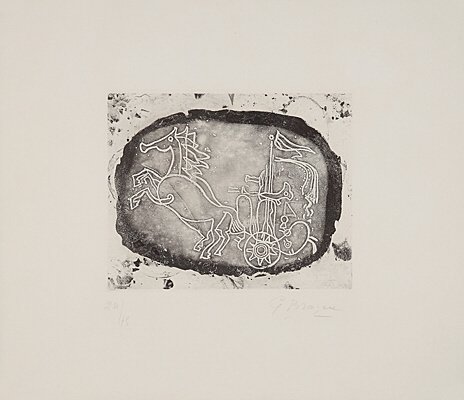 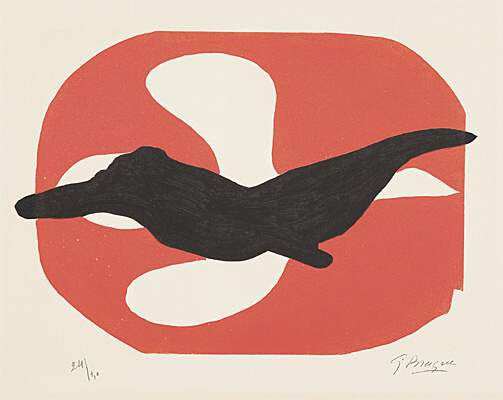 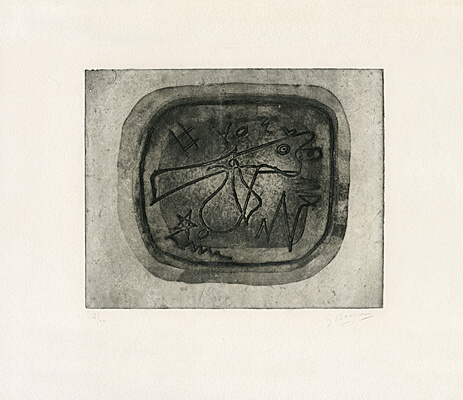 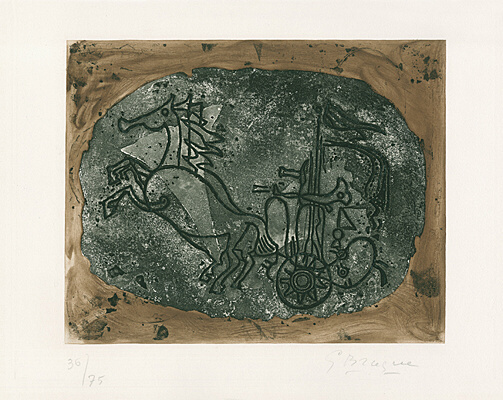 More than twenty years later, fascinated by Greek mythology, Braque produced black-and-white etchings for Hesiods Theogony (1932), as well as numerous colour lithographs revolving around the ancient world of gods with horses and chariots  a theme to which Braque repeatedly devoted himself. 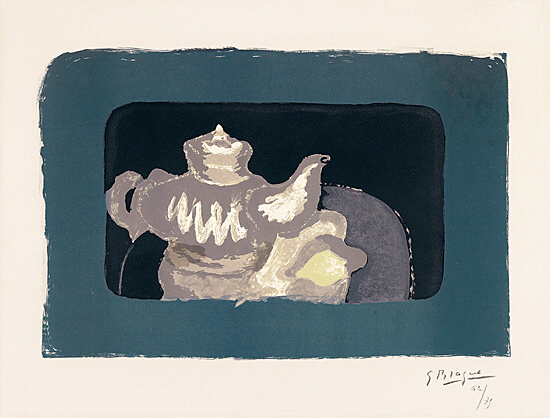 Flowers, Greek profiles, teapots, apples, lemons and birds are his preferred motifs, and he repeatedly illustrates important literary works. 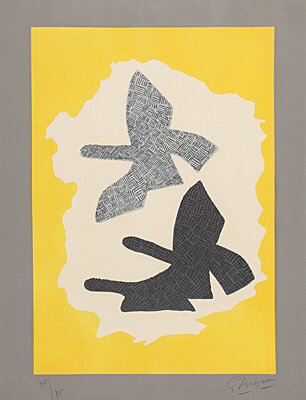 In their reduction of form and the renunciation of everything descriptive and superfluous, the works reveal a high level of poetic expressiveness. 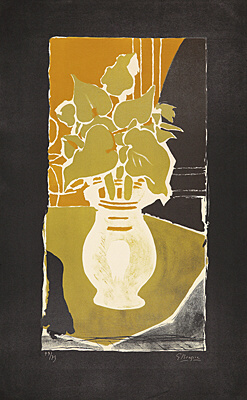 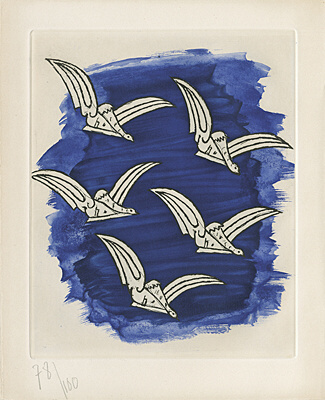 The majority of his prints was created after the Second World War. 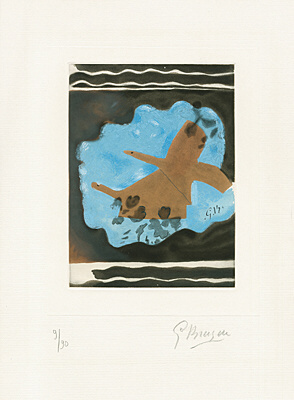 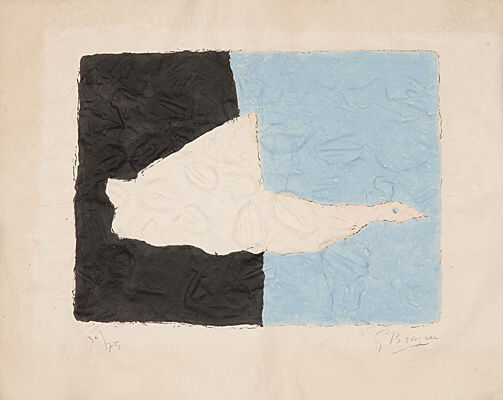 Braques works now revealed softer lines, the partial reintroduction of naturalistic forms, and an emphasis on the intrinsic material value of colour and surface. 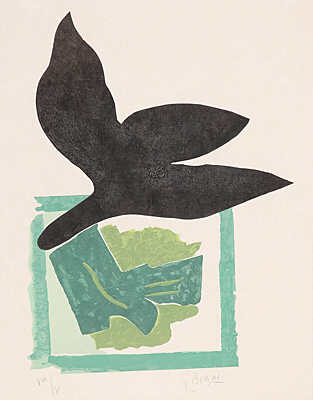 His still life motifs and bird pictures are dominated by forms reduced to the essential, by clarity and simplicity. 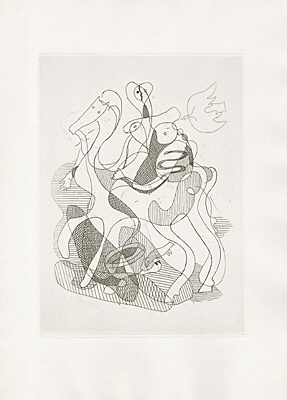 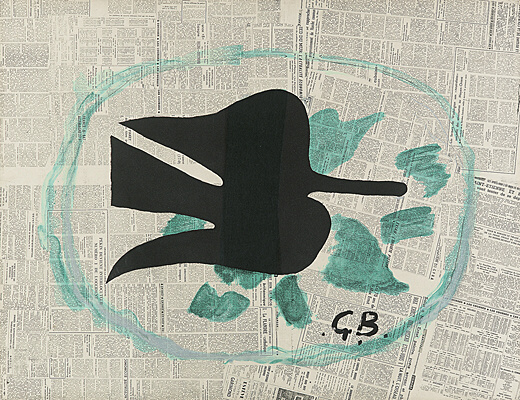 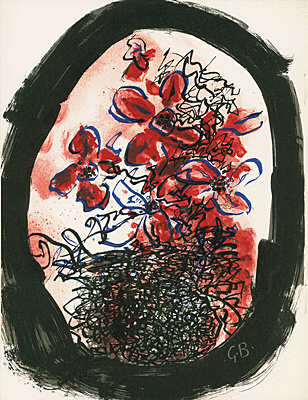 In ever new variations, they illustrate the uniqueness of his pictorial language and his vocabulary of forms and are among the most important and beautiful examples of his oeuvre.